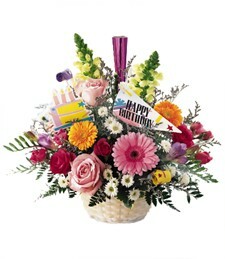 Legend says a gift of living bamboo brings good fortune to its bearer, hence the name, Lucky Bamboo. 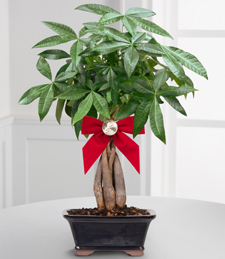 Our Double Lucky Bamboo plant has 2 layers of Bamboo double stacked and tied together with a gold band. Also included are pebbles and care information. 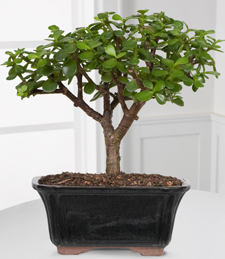 Simply place the stems in the 5" black Asian ceramic container, place the decorative stone pebbles around the stalks, and add water. Replenish water as needed. 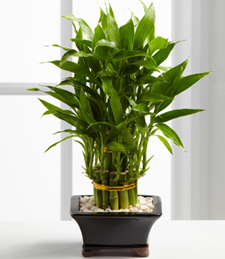 Lucky Bamboo thrives in either low light or indirect sunlight, making it an easy to care for gift they will love! 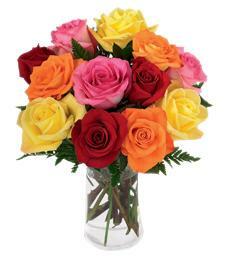 The Simply Cheerful Mixed Rose Bouquet will be the perfect way to celebrate any of life's special occasions! 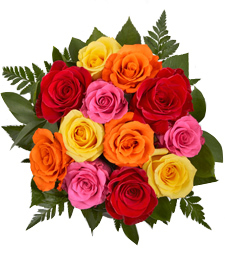 A dozen of our finest 16-inch assorted roses are brought together to form a rainbow of color that creates a gorgeous way to express your happiest sentiments. Approximately 10" diameter. 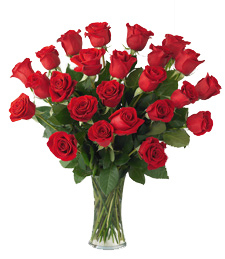 A traditional presentation, this classic dozen red rose bouquet is the perfect gift to send any time of the year. 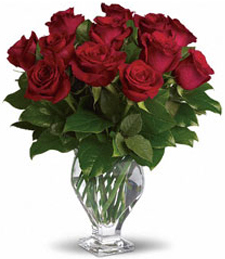 A traditional presentation, this classic red rose bouquet is the perfect gift to send any time of the year. 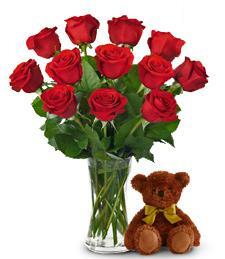 They arrive wrapped with greens and a glass vase, ready for the recipient to arrange in their own special way. 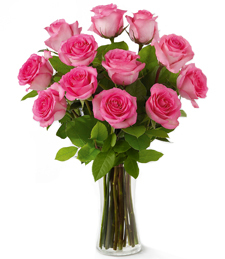 A traditional presentation, this dozen elegant pink rose bouquet is the perfect gift to send any time of the year. 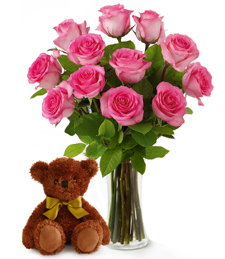 They arrive wrapped with greens and a classic glass vase, ready for the recipient to arrange in their own special way. Leave it to the professionals! 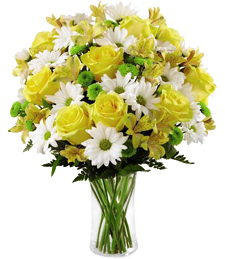 Our creative headliners in the floral design industry excel at fashioning a most beautiful and unforgettable bouquet. 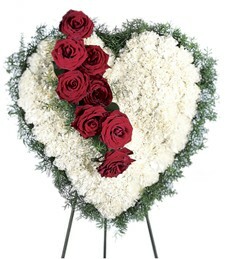 Make a unique statement with your individual style�order today! 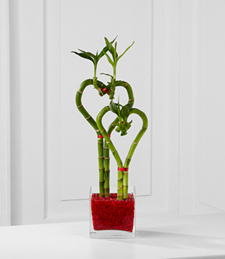 The Be Still My Heart Valentine Bamboo is a unique way to send your love and win their heart this Valentine's Day! 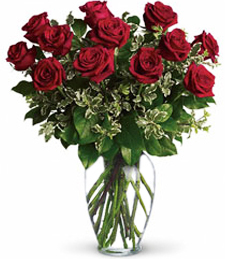 Known for it's hardy, long-lasting green stems, this bamboo treat will be a constant symbol of your enduring love. 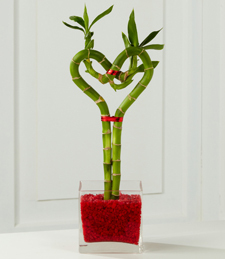 Two bamboo stalks stand entwined to create the perfect heart arriving in a clear glass square container filled with red decorative rock, creating an exceptional Valentine's Day treat they will always cherish. The Pink Prelude Tulip Bouquet opens its blushing petals to celebrate the joy and beauty of life's most significant occasions. 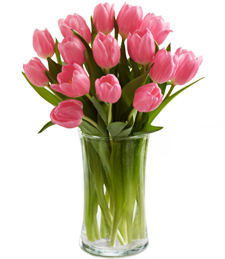 15 Stems of our finest pink tulips seated in a FREE clear glass vase create a remarkable bouquet to express your every good intention and happy wishes. 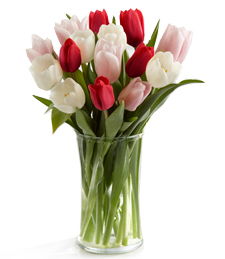 Celebrate the day with our finest tulips in shades of pink, red and white, seated in a clear glass vase, creating a dazzling bouquet that showers them with your affection. 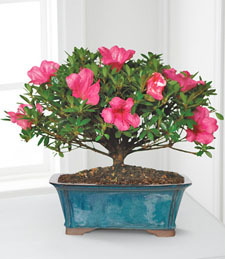 The Blooming Azalea Bonsai is the perfect way to send a Thank You, Happy Birthday, or Just Because! Pretty pink blooms pop against the dark green foliage of this garden beauty planted in an Asian style ceramic container. The Azalea blooms twice per year with promising beauteous blooms from May through June, and a lighter bloom showing during mid-September through October.. 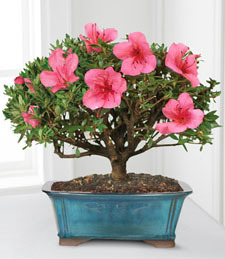 The Happy Mother's Day Azalea Bonsai is the perfect way to show your love for mom this coming May 13th. Pretty pink blooms pop against the dark green foliage of this garden beauty planted in an Asian style ceramic container. 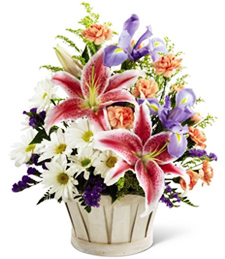 Promising beauteous blooms from May through June, this plant creates a wonderful way to express your thanks for the countless ways she's touched your life. 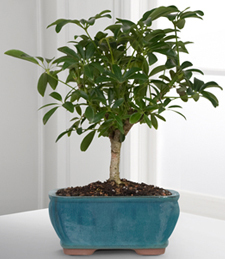 Ceramic planter color may vary. Gravel and humidity tray included.